Prajeet is using Smore newsletters to spread the word online. Imagine if you died because you took too many drugs. Think what would happen to you loved ones without you. They will suffer without their parent, infact they might start to take drugs because their parent did it and they think it's right. The there are different types of drugs, there are legal drugs that you are allowed to use and it won't harm you as much and is suppose to help you, and there is illegal drugs like cocaine, marijuana, heroine, meth, etc. those are the drugs that can potentially kill you. If you're doing drugs it is a lose-lose situation because your killing yourself and you are influencing the people around you and close to you that it is ok to do it. The only illegal drugs that can help is marijuana if your doctor says you should because you have a problem like glaucoma. Studies show that if you are a teen and the body is still developing, illegal drugs can effect the growth. Cocaine can cause heart attack for anyone no matter how old you are or even for teens. Illegal drugs can damage the brain, heart, and other important organs. While using drugs you are less likely to do good at school, make decisions well, and sports. Research shows that if you use drugs you will lose sleep and apatite, if you start using drugs, you will be addicted to it and ending up killing yourself. The reasons why you shouldn't do illegal drugs is because when you are high, you won't be able to think properly and you won't really know what you are doing and you can end up doing something that can hurt you. The best thing to do is by not even starting to do illegal drugs. People that are addicted to illegal drugs can't live without it and they regret it for the rest of their lives because they basically lost their life. If you are addicted to drugs and you want to stop, the best way is to turn yourself in and go to jail or go to rehab and they will get you to stop. It isn't too late to turn Your life around. In conclusion you definitely not use drugs unless your doctor recommended you to and even then you should not let it get you addicted. Think 30 times before using drugs because if you do then you are not only killing yourself but killing others, because when you're doing it then you are telling the other people around you that it is ok to do it. Help save the world and don't do drugs. "Meth Addiction Archives - Drug Alcohol Rehab Orange County." Drug Alcohol Rehab Orange County. N.p., n.d. Web. 30 Apr. 2015. "What You Need to Know About Drugs: Cocaine and Crack." KidsHealth - the Web's Most Visited Site about Children's Health. Ed. Mary L. Gavin. The Nemours Foundation, 01 Jan. 2014. Web. 30 Apr. 2015. 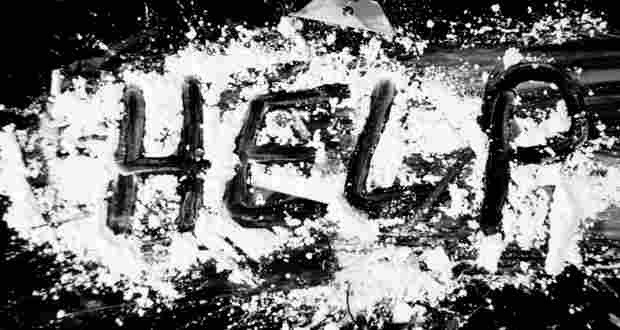 This is a picture of cocaine and it is a sign of help because it is so hard to get out of the use of cocaine.